It all began in Ancient times, when the Côte Vermeille and the Corinthian sailors’ art of winemaking first met. 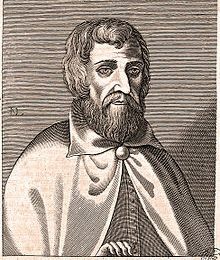 It was the beginning of a passion, the story of a winemaking tradition that was handed down over the centuries, by the Roussillon winegrowers. Today, our A.O.P. red, rosé or white wines and Vins Doux Naturels are still being crafted with the same passion, improving their quality each year. The Roussillon climate, Mediterranean par excellence, gives the vineyards a distinctive character. Generally heavy autumn rains enable the vines to find moisture in the abundant water tables throughout the hot summer. With more than 320 days/year of sunlight and ideal temperature variations, it is a land blessed by the gods for winegrowing. Surrounded by high mountains, the Roussillon region forms a huge amphitheater marked by numerous geological convulsions. The richness of its turbulent story is reflected in the diversity of its soils and subsoils, with a multitude of distinctive terroirs. Such a natural richness has enabled the planting of more than 23 different white, grey and black varieties, offering a unique array of elegant wines. 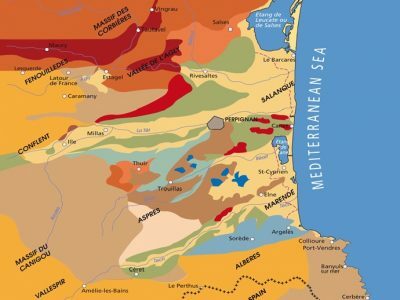 Varied geological structures and micro-climates are distinctive Roussillon characteristics, which means there is terrain to suit and maximize the characters of every grape varietal. 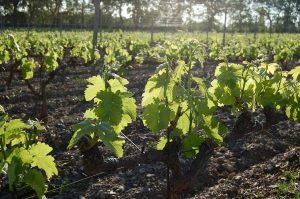 While soils are predominantly clay/limestone, shist and « gravelly », some specific terroirs were recognized a distinctive AOP certification, ie. Côtes du Roussillon Villages Caramany from gneiss and granite terrain, Côtes du Roussillon Villages Latour de France from terrain containing a dominance of grey schist, Côtes du Roussillon Villages Lesquerde from sands of gneiss and granite and Côtes du Roussillon Villages Tautavel from a limestone-dominant terrain. The Crus from Côtes du Roussillon les Aspres are from gravel or small pebble soils with yellow clay as a liant. The Crus of Collioure and Banyuls are born from vines planted on very narrow terraces, often directly on to the parent Cambrian grey schist rock and on to poor, acid soils. The Maury terroir sits mainly on Aptian, nonmetamorphic black schist at the heart of the Agly Valley. Resulting from various vinifications adapted to terroirs and varieties, the Roussillon dry wines offer a remarkable array of colors and flavors. These harmonious wines, both fruity and fullbodied, brilliantly sing the colorful melody of the terroir where they we recreated. This virtuosity is best expressed through their AOP and IGP wines. As early as the 13th century, the Vins Doux Naturels were made according to the rigorous process of adding fortifying spirit to the must during the alcoholic fermentation. 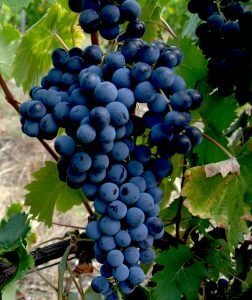 That is how these generous wines produced from “noble” varieties can keep part of the fruit’s natural sweetness. Today, they are fortified with neutral and vinic origin alcohol. Labelled Appellation d’Origine Controlée since 1936 for the most part, they proudly represent Roussillon’s long-standing know-how. Bringing together a small community of 2,200 winemakers families, 25 cooperative cellars & 345 private ones, the sunniest region of France is the 9th largest producer of wine in France, with 2% of national production by volume and at least 80% of French Vins Doux Naturels. 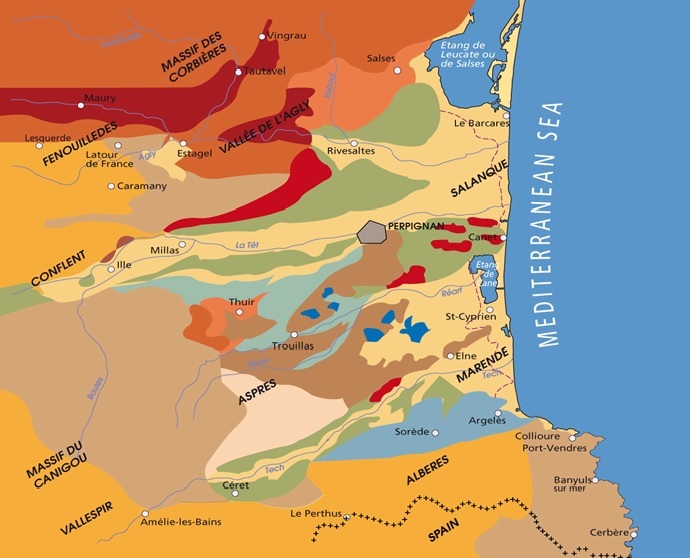 With its unique patchwork of micro-terroirs, Roussillon offers a diverse range of wines in all colors (14 AOP & 3 IGP) including dry still wines and Vins Doux Naturels. 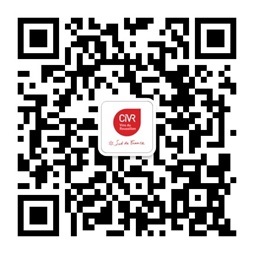 Subscribe to our email newsletter to get updates on Roussillon wines News and Events.